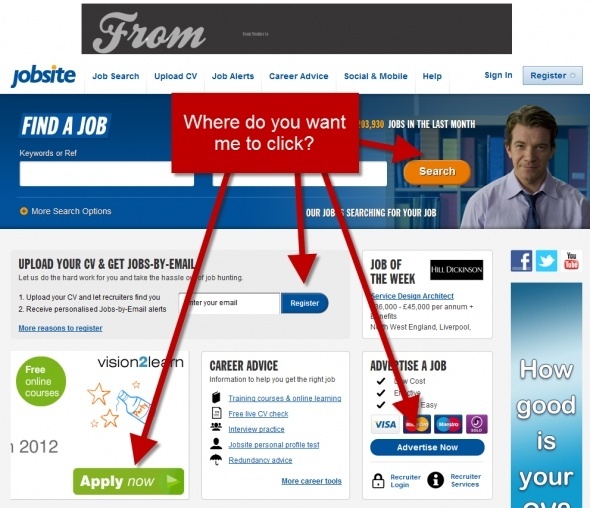 Home » SEO blog » User eXperience (UX) » Where do you want me to click? Where do you want me to click? 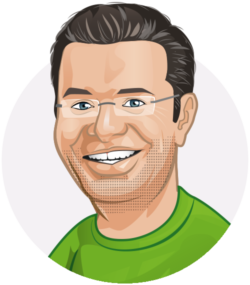 Michiel is a partner at Yoast and our COO. Internet veteran. His main goal with most of his articles is to kick-start your site optimization. So much to do! It’s a vastly overrated notion that a homepage should include all sections of your website and serve all kind of visitors. It needs one clear call-to-action. That call-to-action needs to be the main thing you want your visitor to do on that page, like buy your products or subscribe to your newsletter. Make sure that a call-to-action stands out from the rest of your design, by using a contrasting button color, an actionable link or button text and reducing most (if not all) clutter. Employment websites do it. “Employers subscribe here”, “Companies list here”, “Latest jobs”, “Build your resume”. Real estate agents do it. “Buy these new homes”, “Sell your home with us”, “Latest sales”, “Upcoming events”. That’s really just the tip of the iceberg. It seems that most homepages are designed with one thing in mind: “How do I make everything on my website accessible from this one single page.” Well, you can’t. Not in a way that your visitor will understand your company, product or really anything at all. It’s pretty clear what we want you to do there, right? Not all websites add calls to action like that, though. Everybody has visited that one great looking website in 50 shades of grey that had an orange RSS button that drew all attention. That’s really bad design in my opinion. Of course, the thing that stands out should just be your call-to-action: that’s what you want visitors to click on. There are many ways to use and implement this call-to-action. Obviously, one is using the big bold button, preferably in a color that is not used in the design of the website (the orange RSS button mentioned above). You might also use whitespace to emphasize a specific part of the homepage, making it stand out that way. In the first version of this article, one of the examples I used was Jobsite.co.uk. It was terrible, in terms of calls to action. How things have changed over the last years! 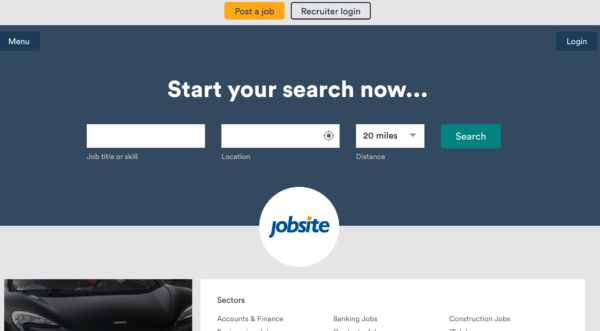 The 2016 Jobsite website has a very nice call-to-action that focuses on just that: finding a job. All things considered, the homepage is very much improved. My next suggestion would be to test the button color (make it stand out more) and the button text (make it more inviting and descriptive, like ‘Find your dream job’). The second website I mentioned back in 2012 was Scuola Leonardo da Vinci. Since we do website reviews for websites from all over the world, I decided to look up an Italian School in Italy. At first, in the Italian language. After looking at their website, I decided to stick to Google Translate… as I couldn’t find where to apply for a course. As it turned out, the question “Where do you want me to click?? ?” was impossible to answer for this website. The total lack of a call-to-action, combined with the overall clutter, makes a visitor head back to Google in the blink of an eye. Why not start with these? They make perfect top tasks for that website and deserve some more TLC in my book. Change the button color to make them stand out more from the rest of the design altogether. 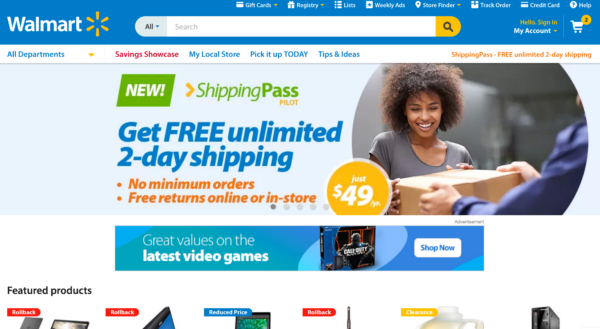 The header is clickable, the cart has been toned down, the search option is nice and prominent and the banner is for their own products. Is it all good? Well, there is always room for improvement. In an ideal world, there would be an actionable button-like element in that header. Just so we won’t mistake the banner below the header for that. Furthermore, the lady might be looking at that button, instead of the package. On the other hand, we feel the sheer joy she feels when receiving her Walmart package, right? These really are things a website should test. A lot of things mentioned in this article go for your homepage and landing pages. For product pages, there are a lot more things to consider. Find these in my article Calling to the next action. With the issues described above, you can easily check your own homepage. 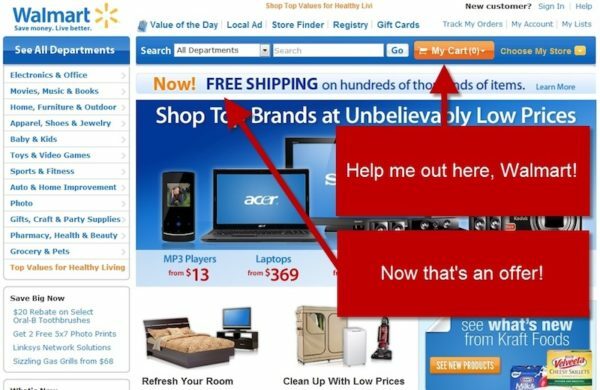 Is there a clear main call-to-action? Is there too much clutter?Go and make things clear for your visitor. You’ll have a better website after it!